Killer Characters: Book Clubs are great! Do y’all have a group of folks you love to get together with? Well mine is the Ashton Corners Mystery Readers and Cheese Straw Society – my book club. Bob Miller came up with the name, mainly because I served cheese straws at that first meeting and Bob just loves cheese straws. Bob’s a childhood friend and although we’ve grown up in the same town we’ve not always been that close. In school we had different friends. And then he got married, for awhile anyways. He’s retired now from being the chief and spends most of his days fishing. That’s when he’s not harassing me about the book club. Seems he likes his police procedurals. 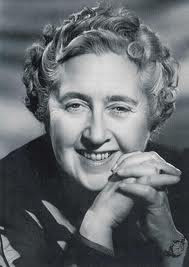 I’m a devotee of Agatha Christie. The rest of the book club members are just as varied in their tastes and that’s what makes it an interesting group. Lizzie Turner, she’s the one who started it along with her friend Sally-Jo, is a real sweetie. I’ve known her since she was born. She’s a reading specialist now and also pretty good in the amateur sleuth department. She’ll read almost anything but seems to have a lot of cozies around the house. Sally-Jo Baker teaches grade three. I guess her tastes in mysteries are pretty much like Lizzie’s. Then there’s Jacob Smith. He’s new to town. A lawyer and Bob’s next door neighbor. He seems to go for the thrillers but doesn’t object when my turn and an Agatha Christie shows up on the reading list. Not like his neighbor at all. Then there’s Stephanie Lowe. She’s just barely an adult and soon to be a mama. She’s had a tough life, I think, but she’s not ready to share any details. Not yet, anyway. She enjoys reading a sassy, amateur sleuth when she’s not studying to complete her GEDs. She’s been a real good influence on young Andrea Mason, though. Lizzie tutors her and was having a real tough time getting her to read until Stephanie suggested started suggesting titles. Now you couldn’t stop her if you wanted. And we do, sometimes. Because reading is one thing. Sleuthing is another. And when there’s a body that just shows up uninvited to the book club, well…someone’s got to do something about it. What about you? 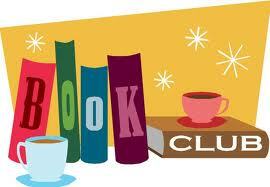 Are you in a book club and if so, how special is it to you? I love my book club. No bodies have shown up uninvited (or not), which is a good thing. A mystery book club sounds like fun! All those wannabe sleuths are sure to get into some trouble. You're so right, Janet...bodies at bookclubs are not good...unless they've read the book. Trouble, Krista? Us??? Well, maybe just a little. This sounds like my kinda club! Where do I join up? LOL. I think this book club sounds exciting! I've only been on one bookclub and we read really boring stuff. And no dead bodies. This book club sounds like fun. I belonged to an online book club, but it fizzled out. Too bad. I'm going to look into "A Killer Read"!